Had the pleasure of getting away this weekend for a two day/night at Mont Tremblant. Having never been to Mont Tremblant before I was excited to see the hype around this city located in the Laurentian mountains of Quebec. Approximately 140 kilometres (87 mi) northeast of Ottawa it was slightly longer for my wife and I as we live in the south part of Ottawa. 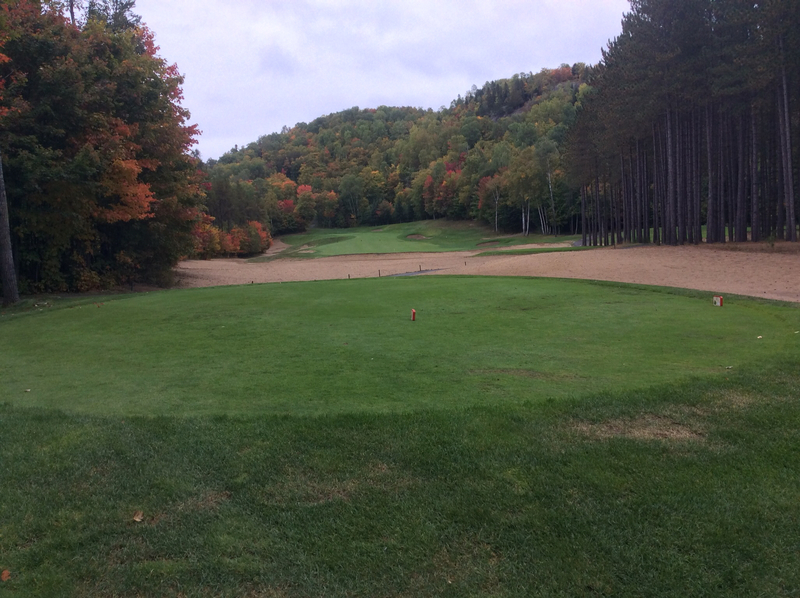 What made the weekend was being able to play rounds of golf at Le Géant and Le Diable. Both courses were recently listed again on ScoreGolf.com Top 100 Best Golf Courses in Canada. Le Géant at 67 and Le Diable at 97. 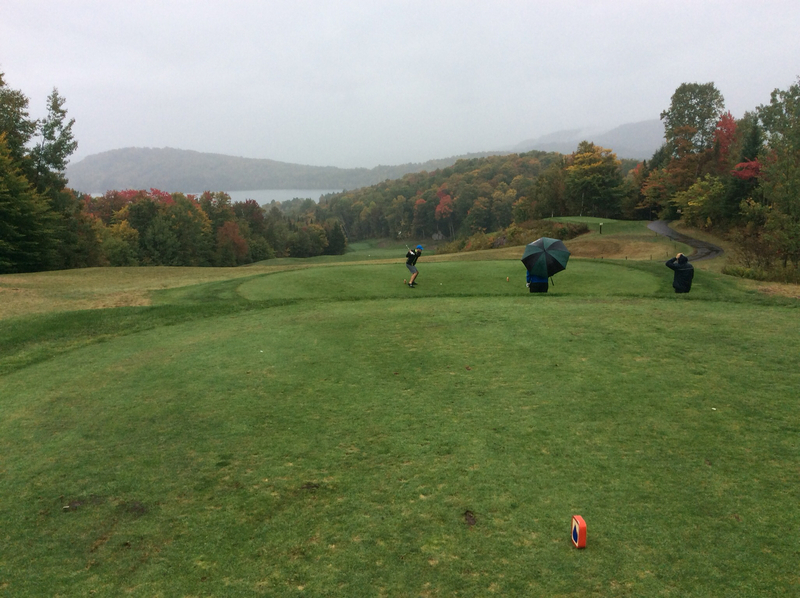 What makes this a perfect Fall getaway for golf is the beauty and scenery you will encounter during your round. 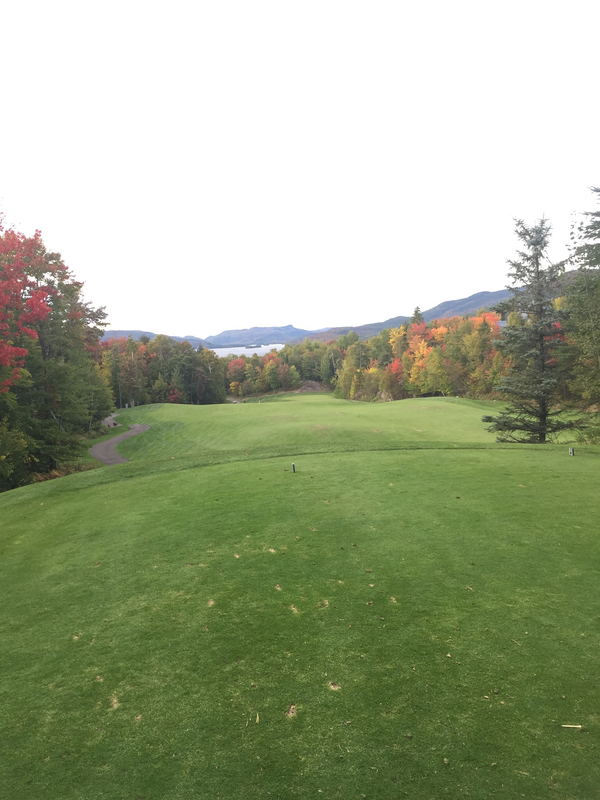 Spectacular Fall foliage could be seen on most holes including the tricky par 4 4th hole at Le Géant. Make sure to bring your camera, lots of pictures ops including the 18th Hole at Le Géant. The fun downhill par 5 15th at Le Diable. Both courses are fun and challenging for all levels of golfers just be sure you play from the right tee decks. Very important especailly if you're playing the courses for the first time. 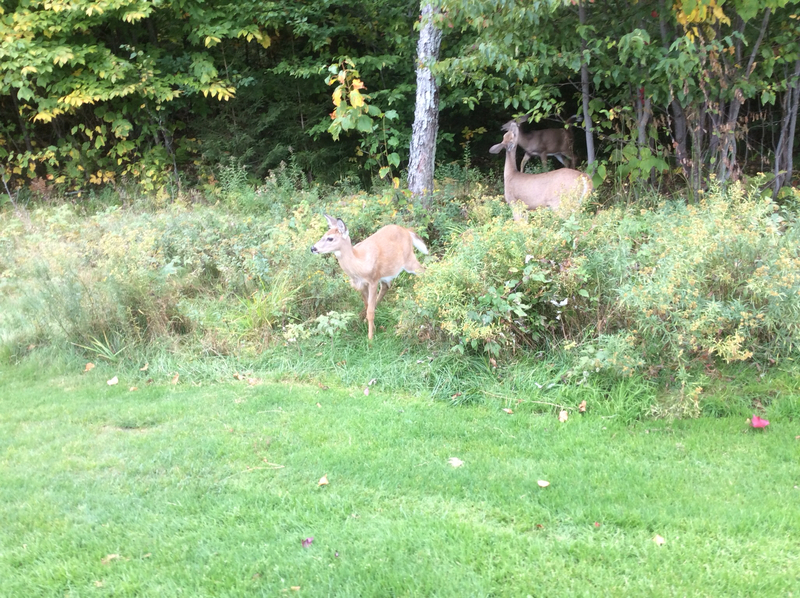 Nature is all around you at Mont Tremblant even on the golf course where you'll see plenty of friendly deer. Of course you'll not be golfing all the time you're at Mont Tremblant so staying in the Village at one of the fine lodgings is a perfect way to take in all the other fun activities at Mont Tremblant. My wife while I was golfing had many a spa treatment so this eased my guilt for golfing for two days. The restaurants were plenty in the village but my wife and I really enjoyed La Savoie, Pizzatéria and La Maison de la Crêpe. 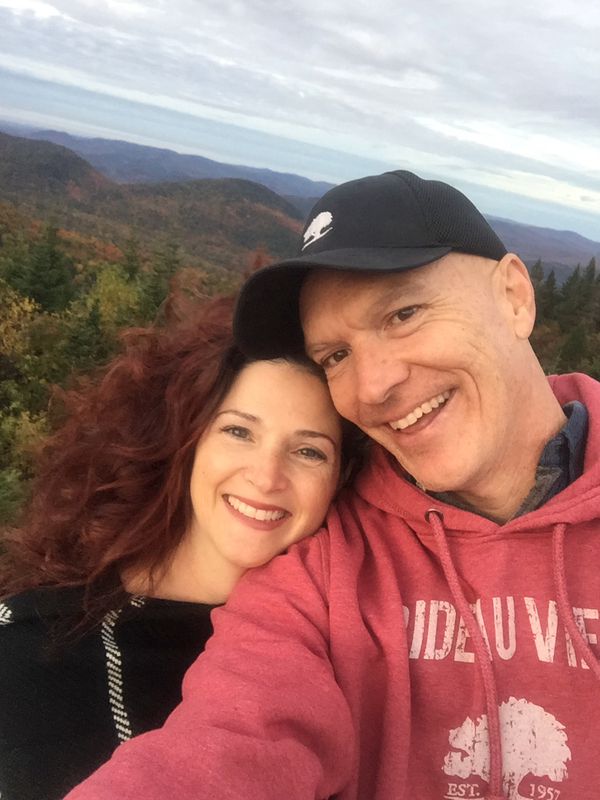 Being able to ride the panoramic gondola to the top of the highest peak in the Laurentians was awesome and a great way to take this spectacular selfie. 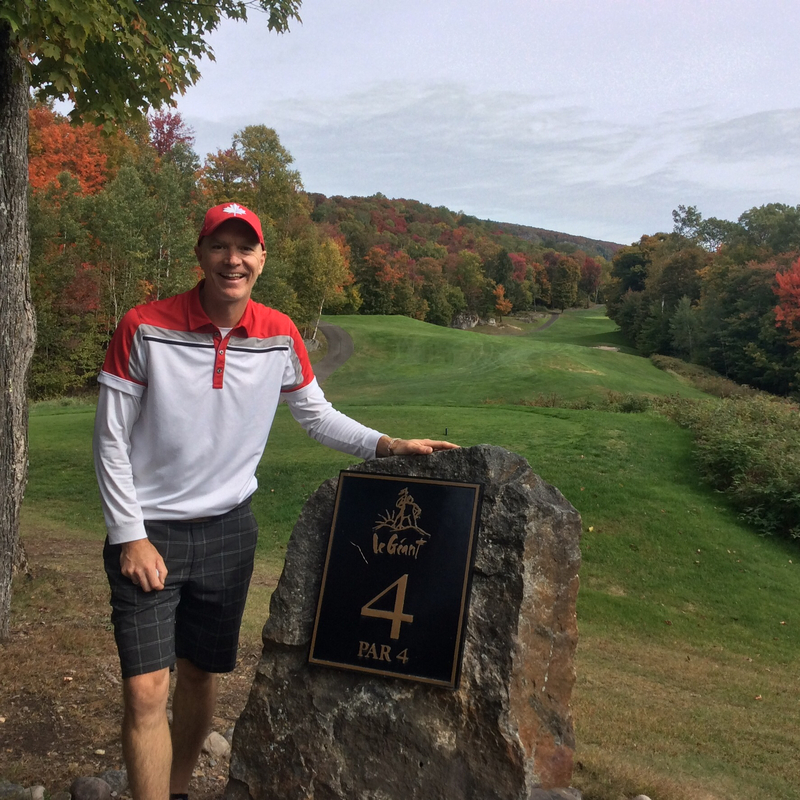 Cost to stay and play golf at Mont Tremblant is pretty on par with any resort destination so keep that in mind. Well worth the expense to play two spectacular golf courses and all the fun activities that you can take in during your stay in Tremblant Village.